The vast art collection of the Galleria degli Uffizi is preserved in the upper floor of the imposing palace. Other structures of the Uffizi host as well some significant collections, like: Il Gabinetto Disegni e Stampe degli Uffizi (collection of Print and Drawings) and the Contini Bonacossi Collection. It contains many Roman sculptures, relieves and funerary urns from the 2cnd century BC to the 3rd century AD. It includes several art works coming from the Florentine and Tuscan schools from the 12th and the 13t centuries. 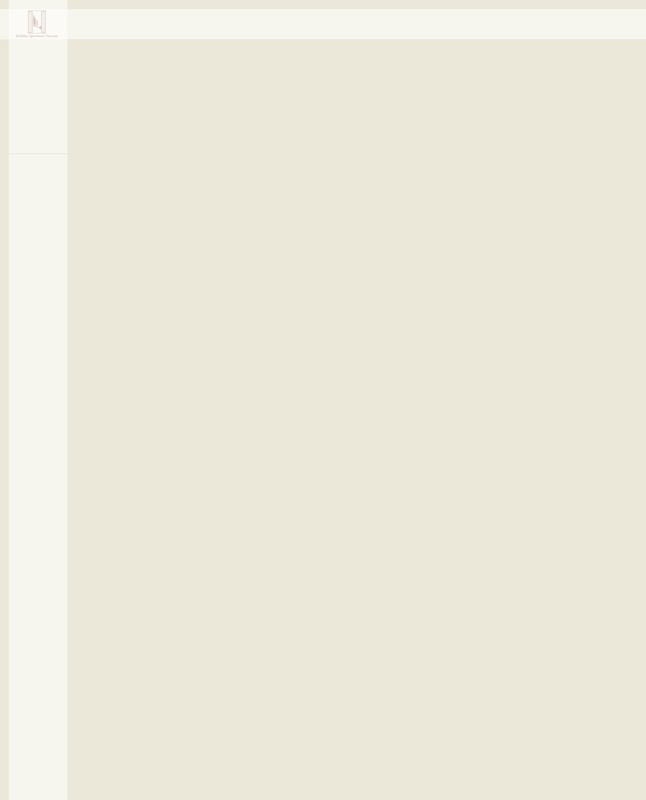 It highlights are: the “Maddonna Rucellai” by Duccio di Boninsegna; the “Maddona col Bambino e Santi” and the “Madonna di Ognissanti” by Giotto; the “Madonna di S. Trinità” by Cimabue and “Le Stimmate di S. Francesco” by Maestro del San Francesco Bardi. 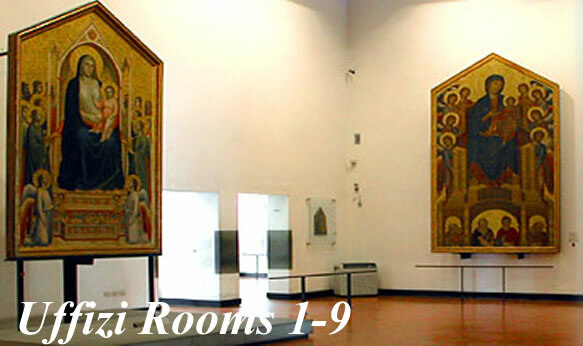 This room presents a wonderful selection of art works from the school of Sienna (14th century). Among them the masterpieces are: “L’Annunciazione” a teamwork by Simone Martini and Lippo Memmi; the “Madonna col Bambino e Santi” by Ambrogio Lorenzetti and the poliptych “La Santa Umiltà” by Pietro Lorenzetti. It houses a splendid collection from the Florentine school (14th century) as well as some emblematic works from the 15th century. The most remarkable paintings are: the triptych “Scene della vita di S. Matteo” by Taddeo Gaddi; “L’Incoronazione della Vergine” by Lorenzo Monaco; “Quattro Santi” (a section of the “Quaretesi” poliptych) and the “L’Adorazione dei Magi” by Gentile da Fabriano. This room hosts several masterpieces from the first period of the Italian Renaissance: the “Madonna col Bambino e S. Anna” a teamwork by Massaccio and Masolino; the “Ritratto di Battista Sforza e Federico di Montefeltro, Duca di Urbino” by Piero della Francesca; “La Battaglia di San Romano” by Paolo Uccello and the altarpiece “Santa Lucia de’ Magnoli” by Domenico Veneziano. It includes a splendid selection of paintings by Filippo Lippi and his son Filippino Lippi (15th century) like, the “Madonna col Bambino e Angeli” and “L’Incoronazione della Vergine” by Filippo Lippi. By Filippino Lippi: “L’Adorazione dei Magi”. The largest part of this room is dedicated to the paintings created by the brothers Antonio and Piero del Pollaiouolo (second half of the 15th century). The most important are: “Ritratto di una dama” by Antonio del Pollaioulo; the altarpiece “I Santi Giacomo, Vincenzo ed Eustachio” is a teamwork by both of the brothers; the “Virtú” is a cycle of seven paintings.